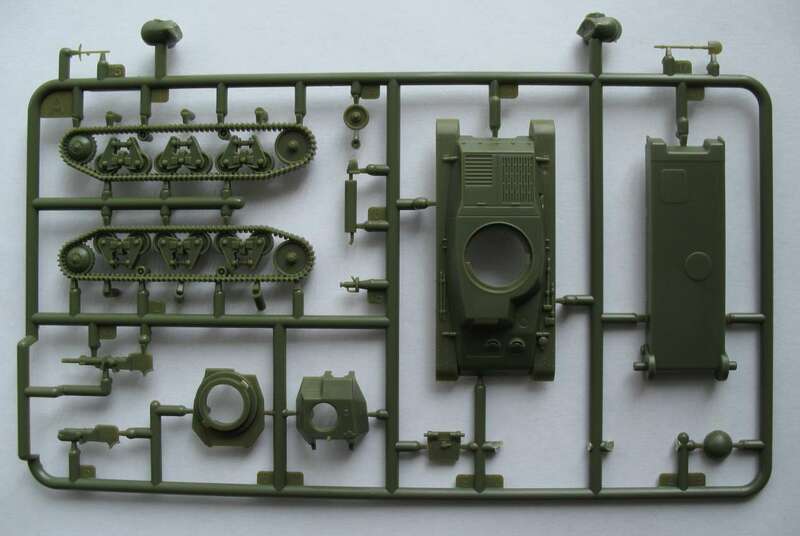 Henk of Holland sent me a preproduction sprue of S-Model's Hotchkiss H38/39 and of the Pz.Kpfw. 38H735(f). 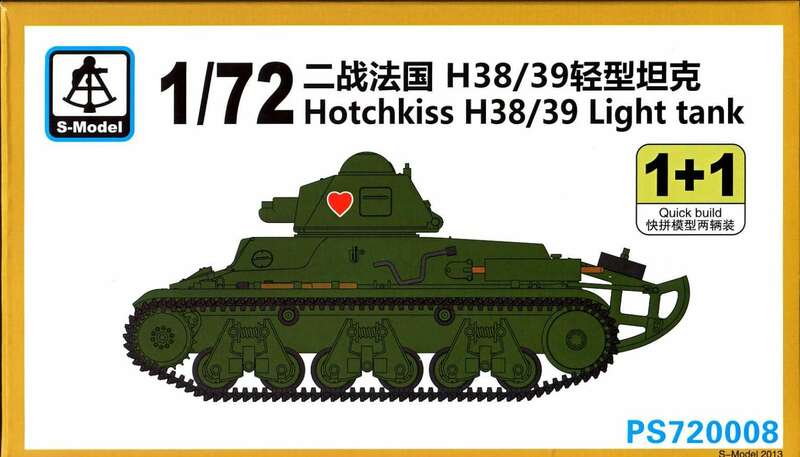 The latter is basically the German designation of a captured Hotchkiss H38/39 tank, with some modifications. 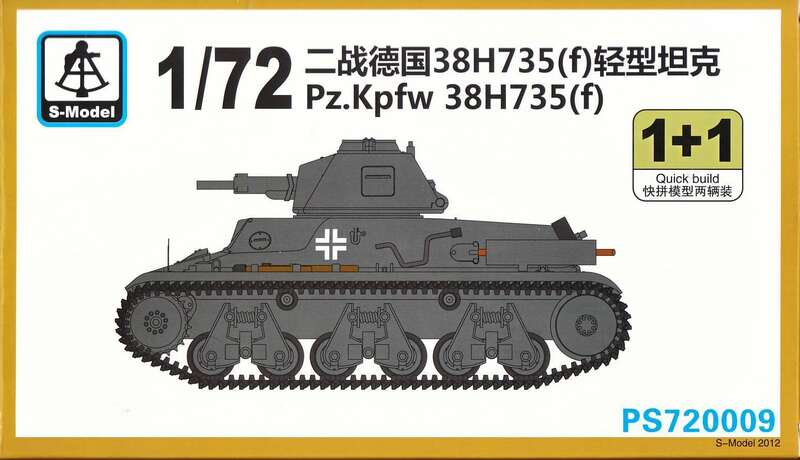 the "German kit" (72009) has an extra open or closed "German" cupola. The French dome is also present, so you can build it as a French tank (if you have the decals). Note that a number of Beutepanzer continued to use this cupola as well. 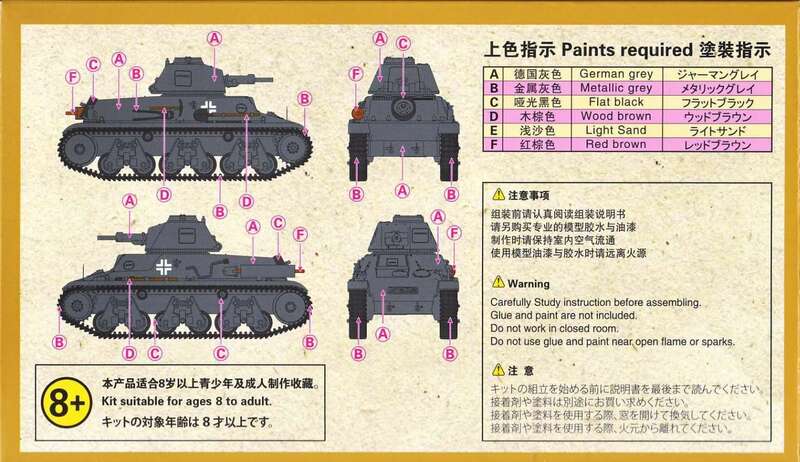 The omission of the trench crossing tail in the German version is curious, as it seems to have been fitted to a lot of the tanks used by the Germans. As kit 72009 comes with an open and a closed German cupola, you can use the spare on kit 72008 and build it as a Beutepanzer with a trench-crossing tail, as I did. Note that a number of Beutepanzers were converted to turretless ammo carriers and tractors and a few were equipped with rocket racks. Going through my references I also discovered that some H38/39 had spoked idlers and that the Germans often added extra boxes to the side of the hull or the "tail". A Notek headlight was also often seen, although this is lacking from the kit. The sprues that we have here are not completely representative of the production kit, as some parts were added when S-Model took the kit into production (vide infra), but I believe the parts that are here are the same. 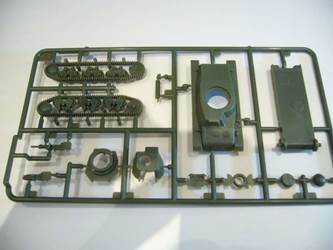 Production sprues for kit 72008. Pictures from Henk of Holland website, used with permission. 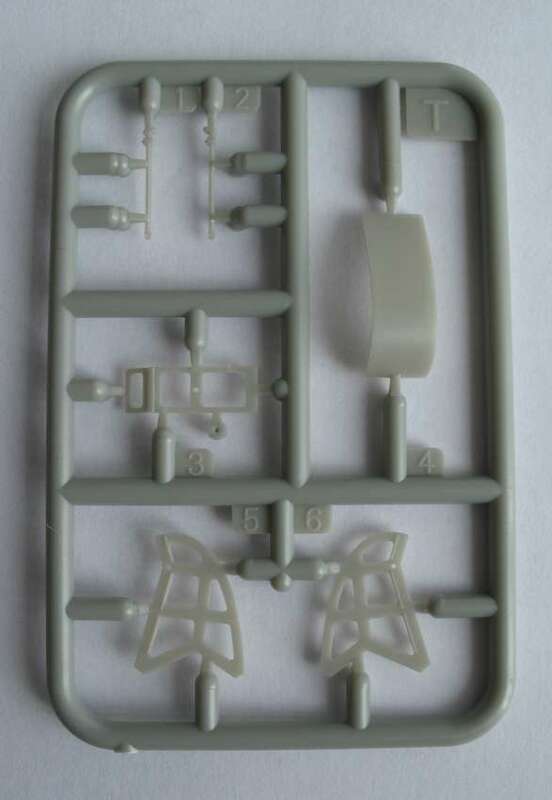 This is the same sprue as I got for the pre-production kit. Pre-production sprue of kit 72009 as used here on the left, production sprue on the right. Pictures from Henk of Holland website, used with permission. Box, instructions, decals and PE parts of production kit 72008. Pictures from Henk of Holland website, used with permission. 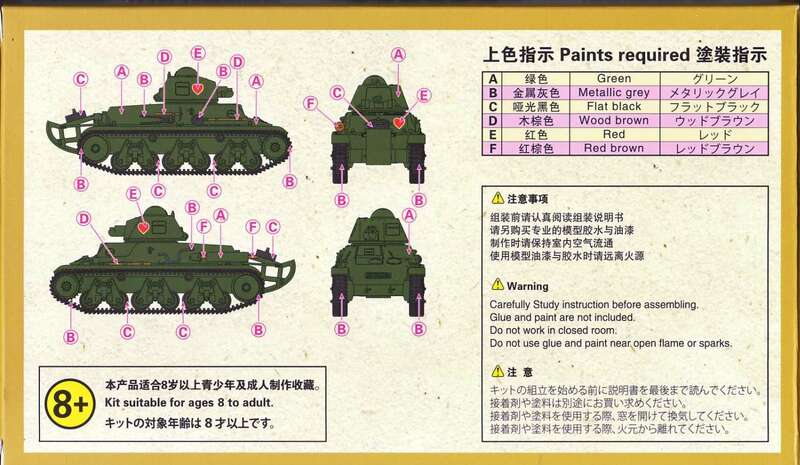 Box, instructions, decals and PE parts of production kit 72009. Pictures from Henk of Holland website, used with permission. My sprues did not have sinkholes or flash; ejector marks were on the inside of the parts. Only at the end of the construction process, I discovered that there was a small casting deficiency where one of the road wheels touches the track. This was only present in one of the sprues and can be hidden by the terrain when put into a diorama. 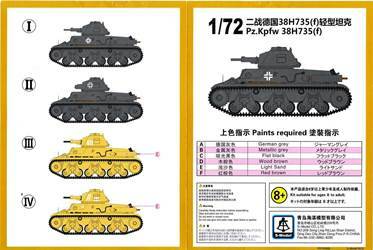 As I didn't have the decals for these kits, I decided to build both as a Beutepanzer, as I have plenty of German markings in my spares box. Construction showed a very good fit, with a lot of parts not really needing glue to stay in place. Only a minor seem at the bottom of the turret needed to be filled in, even if you don't need to scratchbuild the entire bottom. More about that in a second. S-Model offers a choice between guns: the SA18 or SA33. The guns are hollowed out at the end and have a basic gun breech. 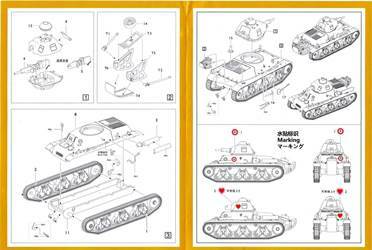 The turret and gun can be moved easily, while the rear hatch can be positioned open or closed. Unfortunately the carpet monster was in an extremely voracious mood and ate both turret halves of one of the kits. It later regurgitated the top half, but that left me with no choice than to scratchbuild the lower half. It did come out rather ok, and I used it on the short-gunned, trench-tailed model. The suspension is quite nice, but the tracks are only mediocre. They also suffer from a mold seem that will require careful clean-up. 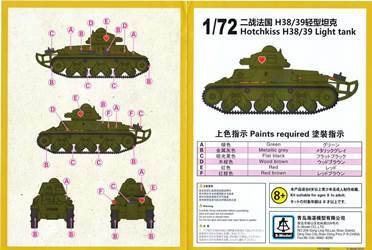 The rest of the parts are sharply detailed, and even the "Hotchkiss" plate on the nose is present. After clean-up the tail-less kit goes together in about 20 minutes. For the kit with the tail, I removed the rods of the strengthening bars, keeping the ends where they attach to the tail. The reason was twofold: the rods are difficult to clean up due to the sprue attachment and they are slightly too long. 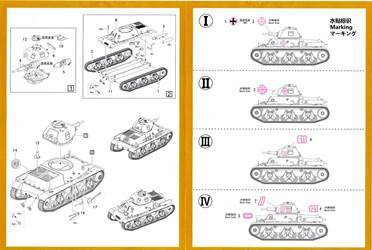 Everything that needs to be done to further finish the model (like adding the missing items) might be interesting to our readers but, strictly speaking, has no further relevance for the review of this kit. I'll cover it regardless. As I didn't want to have half-finished kits lying around, I decided to complete the kits with scratchbuilt parts and items from the spares box. For the open-hatched, tail-less kit I needed to add the following. spare wheel: as this was going to prove the most difficult part to find, I left it off. shovel and axe: these came from the spare's box. 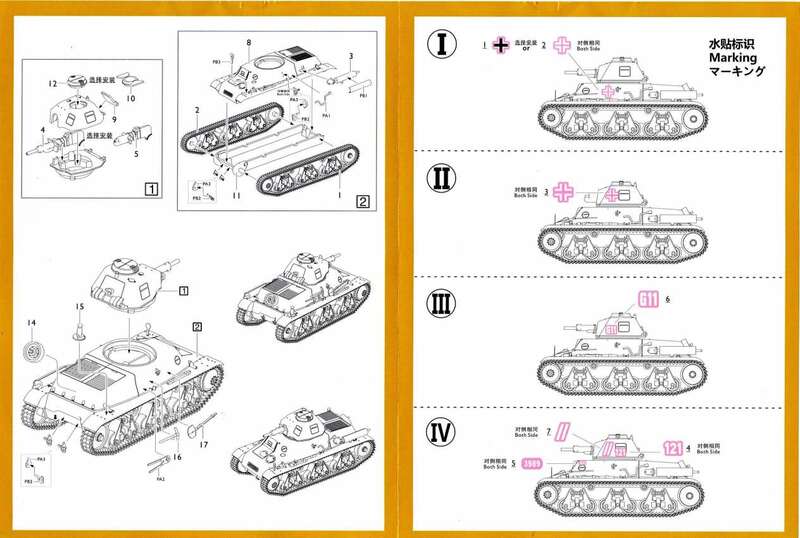 Note that placement of the tools varied and that some tanks in German service didn't carry any at all. antenna base: this came from the spares box (BP Resin parts). I noticed in pictures of the tank that it was mounted on a sort of fidgety tripod attached to the fender. At first I had thought it was attached to the side of the hull, so this is what I did. I forgot to build a support around it only later. PE sheet (with tow hooks, exhaust shield, ...). Tow hooks were scratchbuilt from plastic and towing eyes from copper rod (I don't think they are very accurate though...) and the exhaust shield from metal foil. The starter crank was bent from copper rod. The wire cutters were seldom seen in German service, so I left them off. I also added a tow chain, which was often seen on French vehicles and sometimes kept after put in German service. 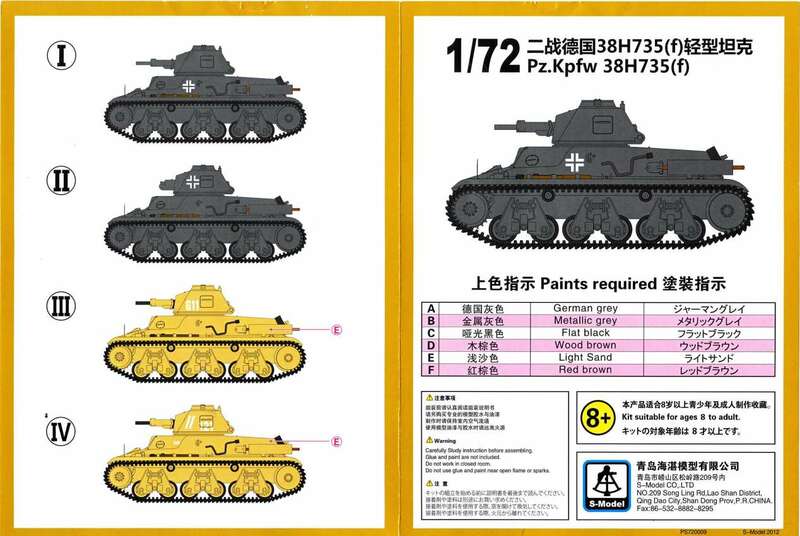 The other kit didn't need quite as much extra bits as only the PE sheet was missing compared to the production kit. 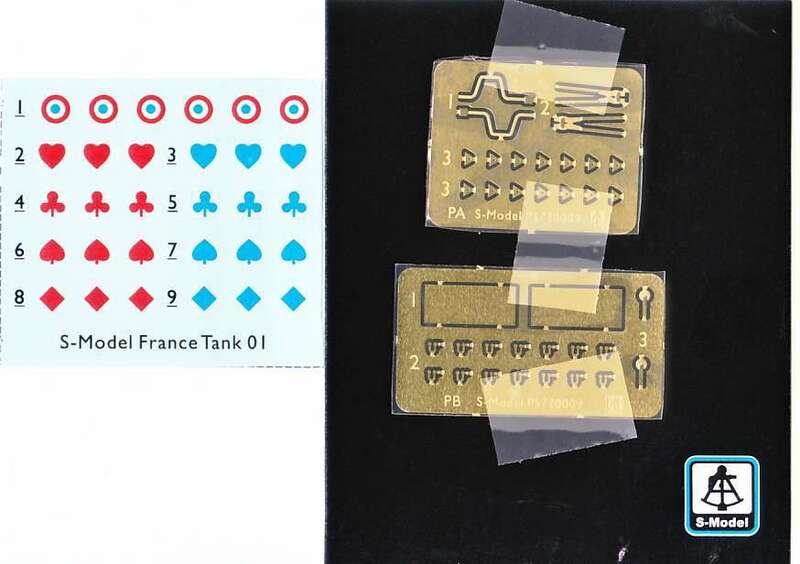 I applied markings from the spares box. 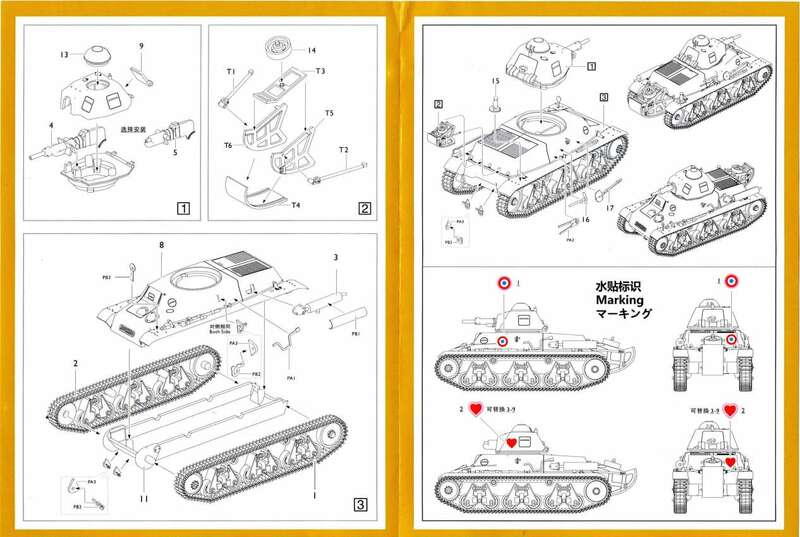 Most of them come from other S-Model kits. The choice of markings is purely apocryphical. The first of the two kit after completion. 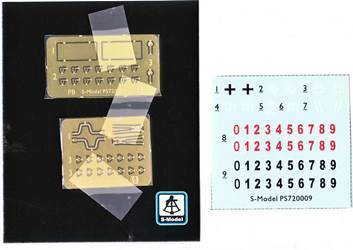 My thanks to S-Model and Henk of Holland for the preview sample of this kit.